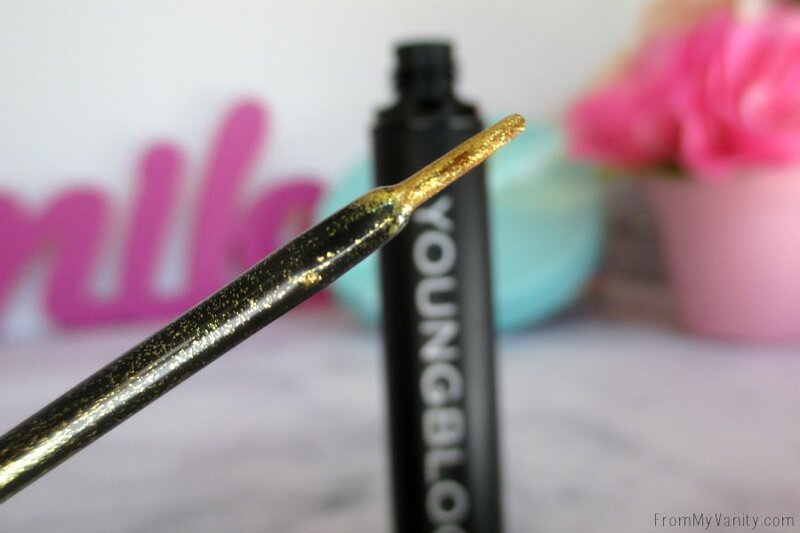 Before we dive into the tutorial, I just wanted to share a few up-close pictures of the Youngblood liquid liner in 18 Karat. I’ve honestly never had much use for glitter liners before, but they are fun to use on occasion! This liner works really well and the color shows up true to its name — like gold! Are you ready to dive into the tutorial? The shadows I’m using will be from the LORAC Unzipped Gold palette and the L’Oreal Infallible Eyeshadow in Emerald Green. Step 1 // After priming your lids use the shade Undressed and blend it from your browbone down into your crease. Step 2 // Using a fluffy blending brush, blend Undeniable into your crease to act as your transition shade. Step 3 // Pick up a little bit of Unedited and use a more precise brush to deepen up the outer corner. Take your time building up the intensity. Step 4 // Press the L’Oreal shadow onto your lid. I used my finger, but you can use a brush or Fix+ if you like. Step 5 // Going back into Unedited, use it to blend all the colors together seamlessly. Step 7 // Using your favorite black liner, do a thinner, winged liner right below the gold. Step 8 // Apply a black liner to your waterline. Step 9 // Use a mix of Undeniable and Unedited to blend out the lower lash line. Step 10 // Taking the liner again, apply it generously to your inner corner to make your eye look pop! And there you have it! Your eye look is complete! Pretty simple and not too complicating, I hope. 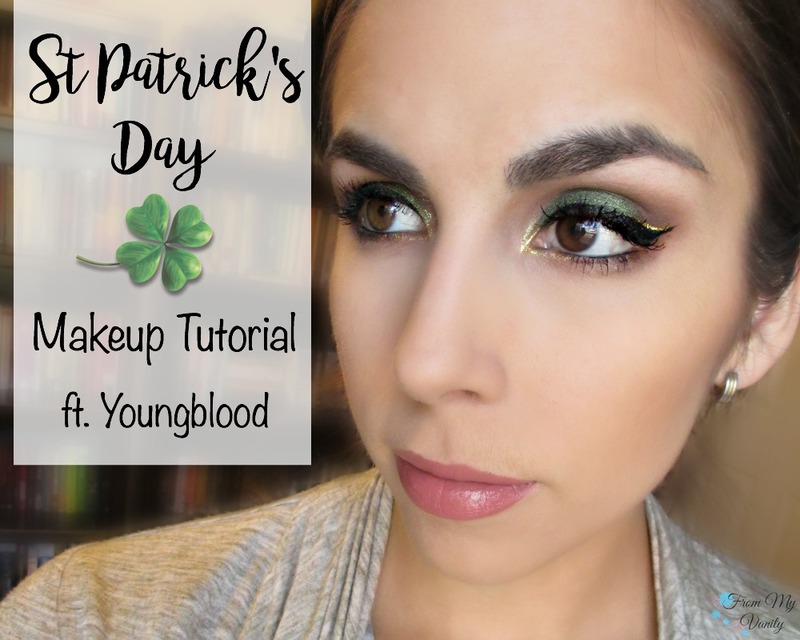 🙂 It’s always fun for me to make step-by-step tutorials for you all, and doing one for a holiday like St Patrick’s day is even more fun! Let me know if you’d like me to do these more often! Now it’s your turn! 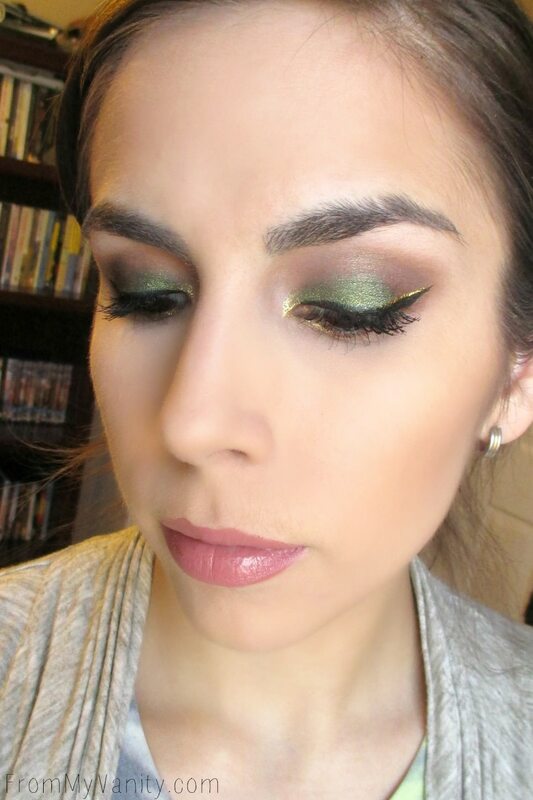 What sort of eye look do you plan to wear on St Patrick’s Day? 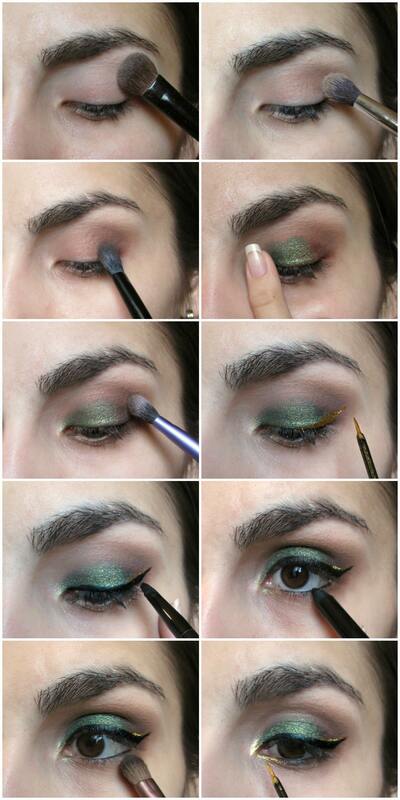 Will you be wearing green on your eyes? Lips? Let me know! I received one of the products mentioned above as PR samples. It was not required that I feature it on my blog. All thoughts are 100% my own. Some affiliate links are used. Thank you for your support! I love the color combination! Might reproduce it myself! I think I have a similar gold eyeliner 🙂 well done Katie! If you do try it out and share the results, tag me on any of my social medias — ladykaty92 — I would love to see yours! lovely look! the gold eyeliner is so pretty! 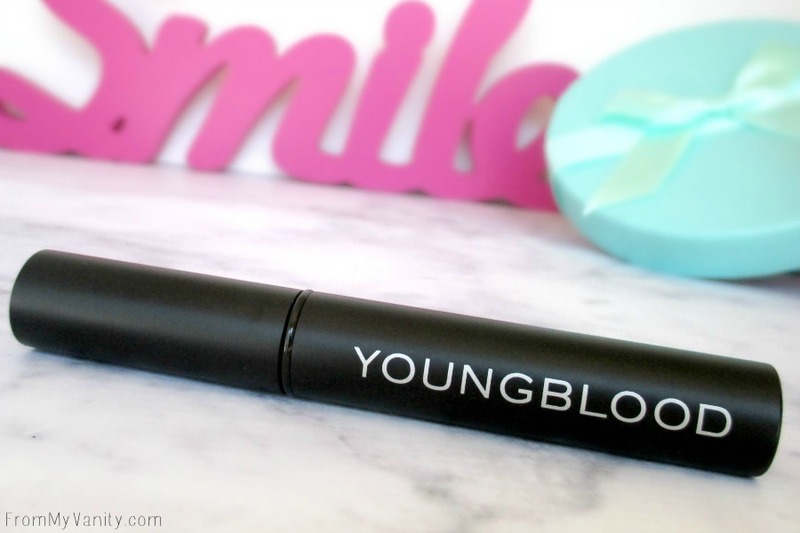 Yes, it’s a stunning eyeliner. I love that it still looks really gold, instead of clear with gold flecks, like most glitter eyeliners I’ve tried in the past. I love that gold pop! So pretty! This eyeliner is amazing and I want it. 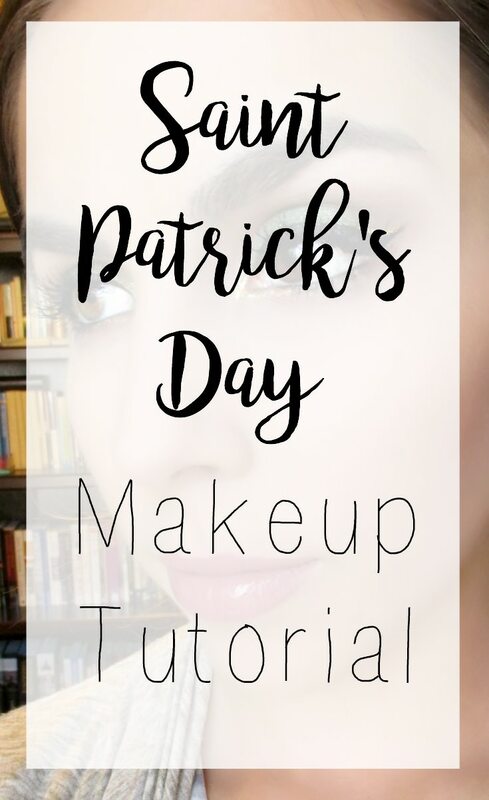 I actually will be wearing a green eye look this St. Paddy’s; I’ve been using a green MAC palette for a while now, trying to hit pan on at least one shade. Green eyeshadow looks so good on you! Thank you, I really love green on my eyes, too! When I saw the gold, I thought “No way!” but it totally worked!! Super pretty and I love that gold! Thanks Krystal, glad you like it! 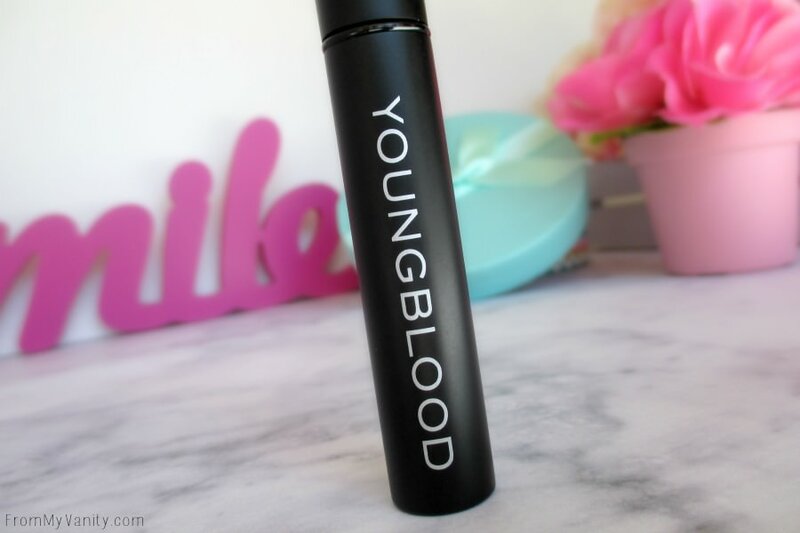 youngblood makes one of my favorite primers. Ohhh, eyeshadow primer? I’ll have to try it! LORAC makes the only eyeshadow primer that works for 12+ hours on me. Everything else I try starts to crease by the end of the day. Also…you are the queen of the wing!! Thank you, Jess, it was fun to create! They went really well together, glad you agree! Thank you Esha, you’re so sweet! I love using green, too! Love this tutorial! I love the shade of green that you used! Thank you, I really like this shade, too! I love that eyeliner!!!!! I’ve never seen a liquid gold one before. 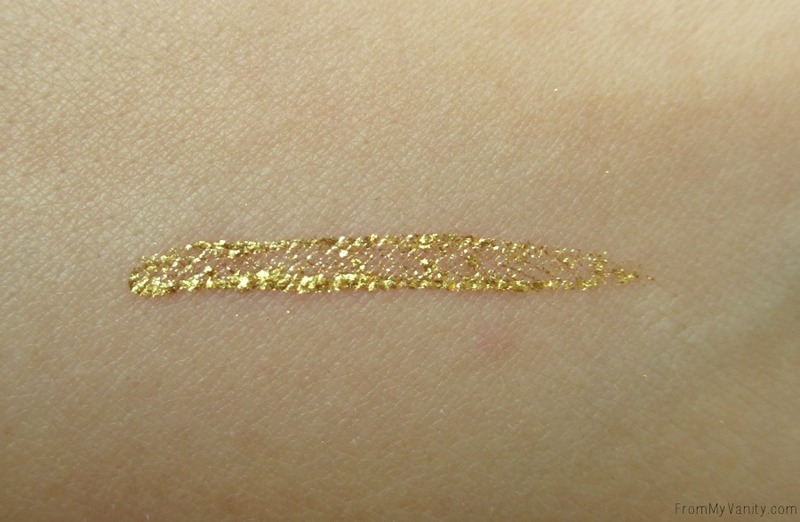 This one is very unique and beautiful — all the other gold glitter liners I’ve used in the past are just clear with glitter flecks. This is outstanding! Oh my gosh, the gold liner is PERFECT! What a gorgeous look on you!